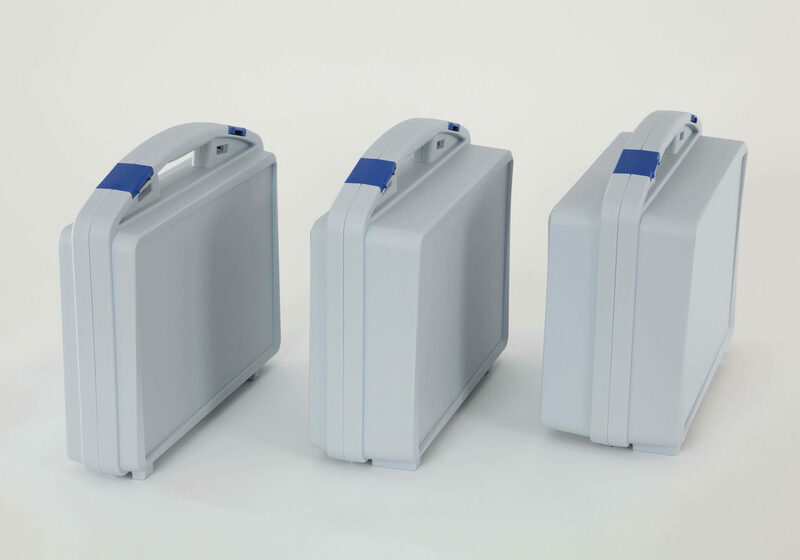 With the TWIST case model, first presented at this year’s FachPack, W.AG once again underscores its position as a leading manufacturer of design-oriented plastic cases in Europe. Because both its shape and the terms of its functionality it sets new development standards. 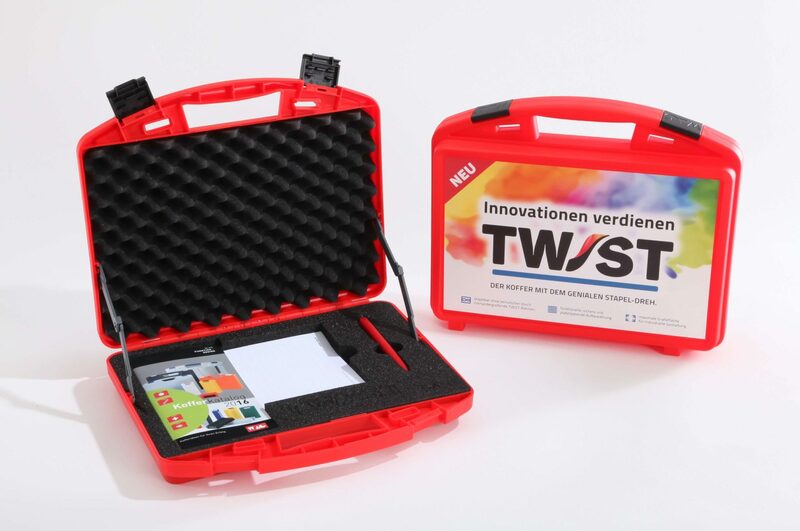 Minimalist design and lots of clever details make the TWIST a highly flexible transport, protection and presentation case for many industries. Geisa, November 2016. – The new TWIST by W.AG might succeed as a trendsetter in the market segment of design-oriented transport, protection and presentation cases. 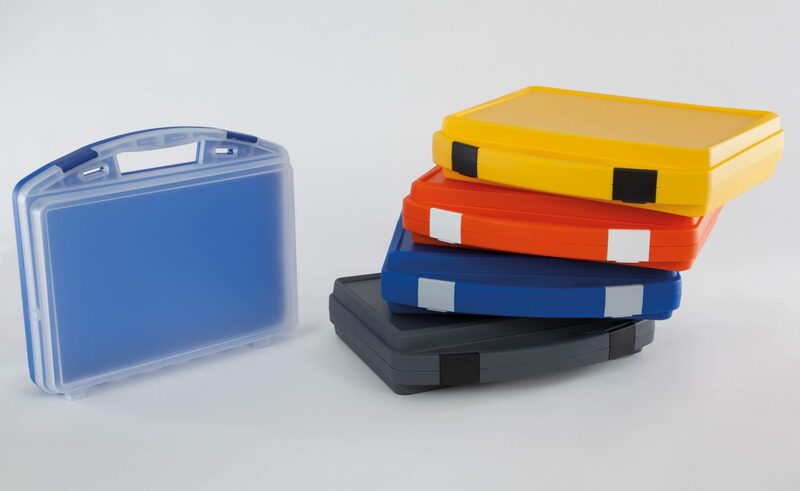 Because, based on the development know-how of many successful case systems, the Geisa manufacturer has created with the TWIST a plastic case that offers, with its virtually purist style, a wealth of innovative features – which make it interesting for a variety of very different applications! Here the minimalist design of TWIST holds many surprises that are not visible at first sight. At first sight, the decoration area on the upper side of the TWIST is clearly recognised as being extraordinarily large – compared to the basic format. This provides the case with a possibility of nearly full-scale imaging and printing for example with in-mould labelling, which is part of the W.AG assortment (see info box). In this way, the case fulfils the desire of many marketing experts because it puts itself into the background, leaving the main role as that of the applied advertising or product message. The large decorative surface of TWIST is limited only by the seamlessly encircling stacking frame, which as such is, however, at first barely visible. Only upon closer inspection is it revealed to the observer that this frame has a multiple twist. This axial rotation was the inspiration for the name TWIST and ensures that one case fits securely onto another and can thus be easily stacked. Additional functional refinements in the design of TWIST are the rounded edges, an ergonomic case handle and stable feet. There are also wide eyelets for fastening the optional carrying strap, and generously sized clip closures. Here, W.AG’s TWIST concept also provides the ability to emboss corporate or product logos in the outer visible surfaces of these clips. Through the high quality labelling of the decorative surface the case acquires a permanent brand identifier. Since W.AG’s designers moved both the carrying handle as well as the clips and the connection for straps constructively to the outside, the inside of the TWIST is substantially free of interfering corners, ridges and edges. 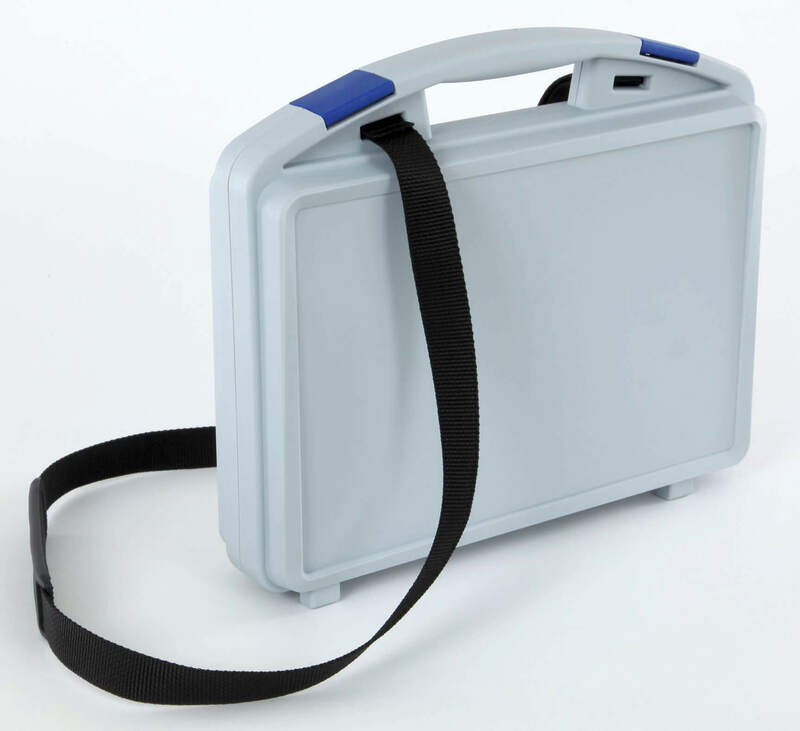 This means on the one hand that the interior of the case is ideal for disinfection by wiping, as demanded, for example, in the medical environment on the other hand, the entire interior can be used to its fullest capacity for the contents. For the safe and considerate storage of tools, equipment, pharmaceutical samples, product samples and more, the service spectrum of W.AG offers you the possibility of having tailor-made inlays of PU foam, PE foam or deep-drawn inlays. Moreover click-in lid stays are part of the interior concept of TWIST – very useful for product presentations or mobile service work. When closed, the contents are protected against splash water and dust by a circumferential tongue and groove system of the upper and lower shells. Based on the basic format of 340 x 286 mm W.AG offers the new TWIST initially in three different heights respective depths of 74, 104 and 134 mm. By the end of 2017, the model range will be extended to 18 case sizes with 6 basic formats. With the primary colours and colour combinations for housing and clips customers can now choose from plenty of different standard and special colours. Case shells of transparent polypropylene are also offered. Based on the development know-how of many successful case systems the Geisaer manufacturer W.AG created with the TWIST a plastic case, which, with its virtually purist style, offers a number of innovative features. The new TWIST from W.AG, thanks to its large decoration area on upper surface, offers of the possibility of a nearly full-scale imaging and printing – for example with in-mould labelling. The picture also shows the practical lid stay and a product-appropriate inlay of PU soft foam. For the safe and considerate storage of tools, equipment, pharmaceutical samples, product samples and more W.AG’s portfolio offers the possibility of having tailor-made inlays of PU foam, PE foam or deep-drawn plastic inlays for TWIST cases. Based on the basic format of 340 x 286 mm W.AG offers the new TWIST initially in three different heights respective depths of 74, 104 and 134 mm.